A delightful romp of a show based on Mr. Trudeau's famous comic strip. 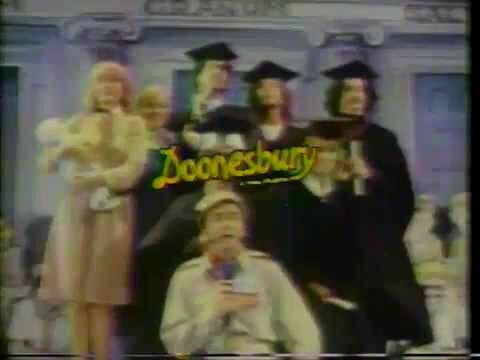 Zonker, Michael Doonesbury, J.J., Boopsie, B.D. and Joanie-- they are all present and happily accounted for in this delightful romp of a show based on Mr. Trudeau's famous comic strip. While they try to make it through commencement, the Walden crowd must fend off Zonker's uncle Duke, who wants to bulldoze their off campus house and replace it with condos. Michael Doonesbury steadfastly pursues the feisty and lovely J.J., while J.J., tries to come to terms with her long lost mother, Joanie Caucus. Setting: Walden, an off-off-campus house. Graduation weekend, spring, 1983.